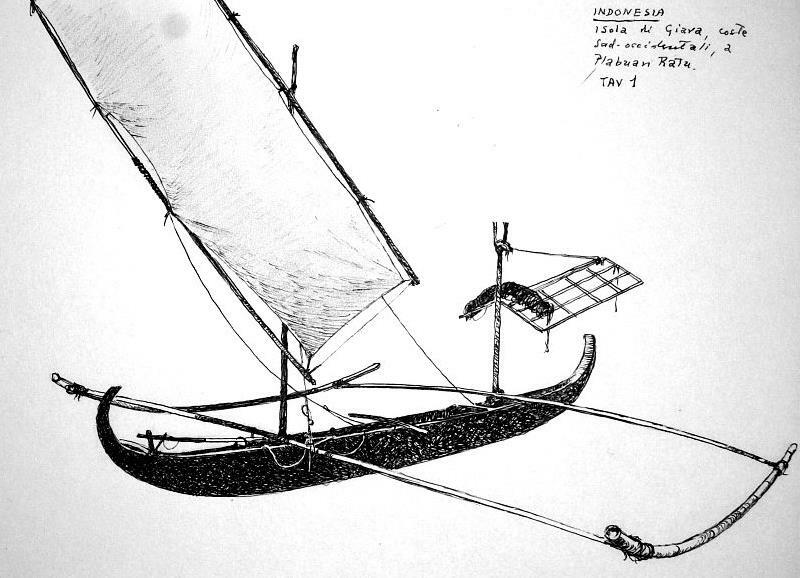 The following are a small selection from hundreds of line drawing of Indonesian Boats. It is true that none are tacking outriggers. There are a few tacking outriggers in Indonesian, however the double outrigger is far more common. It is often referred to as the Jukung. 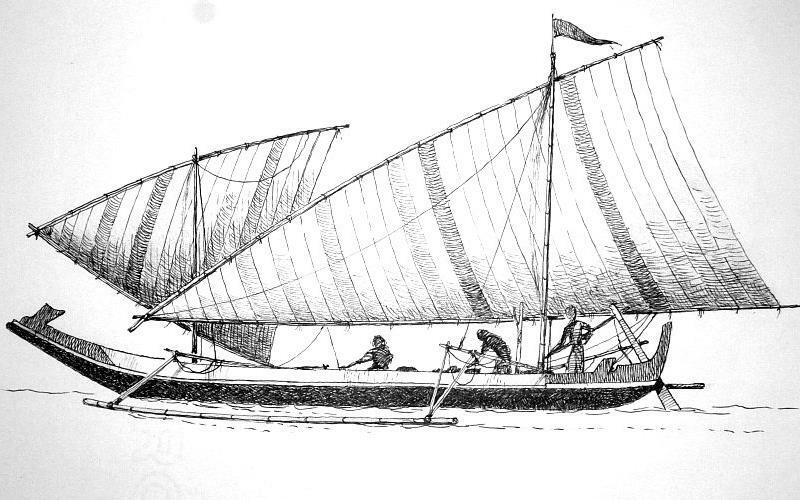 Some other Indonesian boats that may be of interest are the Pinisi. There are some excellent books on Indonesian boats by Adrian Horridge, and your local reference library may well have a copy. Unfortunately it is now out of print and copies sell for a very high price online theseadays.